Vinyl Fence is a component based system no mater the style. The fence is made up of Sections, Posts, Gates, and Accessories. 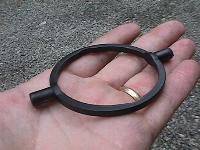 We also carry a selection of Replacement Parts for the corresponding styles. The main deciding factor of what you order is directly tied to the Sections because all other components are tailored to work with the specific style of fence. Please keep in mind that this is how our catalog is set up to simplify the sometimes confusing task of ordering a fence. Pay Attention to the Ingredients - Buy Fence Made of Virgin Vinyl/ PVC – Not all vinyl fences are created equal. Professional grade vinyl fences are made of virgin vinyl/ PVC ; consumer grade fences are often made of recycled plastics, often the scraps from the 'good stuff'. 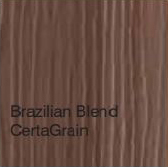 In fact, many brands will have their professional grade materials available from professional fence and deck dealers only, and then create a separate brand for many of the 'big box' stores for consumers. Although, it is hip to use recycled products and shop for environmentally 'green' fencing products, some are simply less than desirable as a building product that needs to withstand the weather elements, high winds, and sun (UV) damage. Vinyl fencing made of recycled plastics will often sag prematurely, become brittle (especially in cold climates), and fade and warp prematurely. Professional, contractor grade fencing will not only use virgin vinyl, but also mix UV inhibitors in to help prevent against sun (UV) damage. 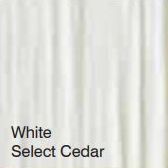 If you wish to simply buy a couple sections of 3-4' high spaced picket fence for a corner accent, a consumer grade fence may be a perfect fit. Installing it would only be a couple hours at best and it would be easy to replace when it wears out…and this is only a question of when it wears out, not if it wears out. If you wish to buy a taller fence, install 10, 20, or 30 sections of fence with gates, and have it last more than a season or two, choose a professional grade fence worth investing in and installing. Installing fence is a significant investment, sometimes thousands of dollar even as a do-it-yourself project. Spend a couple hours digging holes and mixing cement and then think about setting in concrete inferior fence posts and sections which will not last. 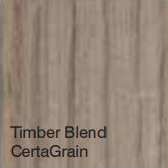 I think you will soon agree, professional grade materials are the only type to consider using. Pay Attention to Vinyl Fence Component Sizes and Wall Thicknesses – To make a vinyl fence, or nearly any fence more budget-friendly, manufacturers will make components thinner (meaning the actual wall thickness of the material) and smaller in size. 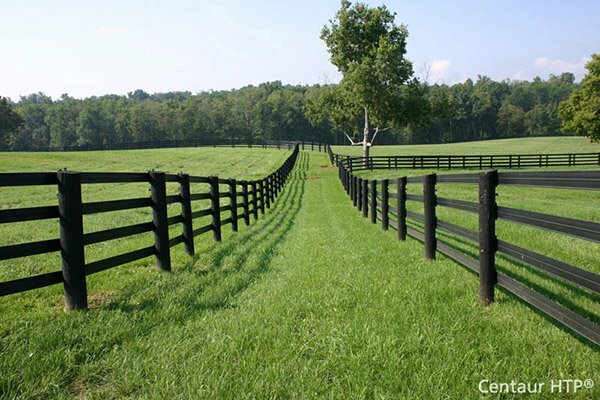 Many inexpensive styles of vinyl fence will utilize fence posts measuring 3-1/2" x 3-1/2". Further, because the wall thickness is insufficient, a 4 x 4 wood post must be inserted inside the vinyl for strength. If you must use a 4 x 4 wood fence post on the inside of the vinyl fence post, that will tell you something about the quality of the vinyl post – it's too thin and weak to hold the fence panel by itself. The 3-1/2" square vinyl post might be inexpensive, but add to this the expense of a 4 x 4 wood post (currently around $9-10 ea.). Pay attention also to the length of the vinyl posts. 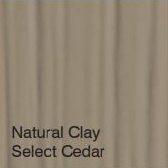 Consumer grade vinyl fences often come with shorter posts. Posts should be of sufficient length to extend into concrete footers for support. While looking at at the wall thickness, actual horizontal rail sizes, and picket sizes, you will find each of these components to be significantly less in size and thickness when compared to professional grade products. 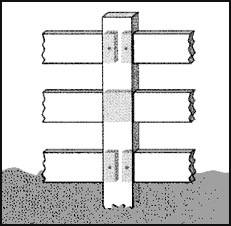 Professional grade fences will utilize true 4" square posts on shorter fence and fences which allow air flow; they will use true 5" square posts on taller fences and privacy fences. These posts do not need wooden 4 x 4 posts on the inside of them to support the fence panels. It is common though on all grades of vinyl fence, to use a a post insert (aluminum or steel), or the method of filling a post with cement for a gate (hinge and latch post) and terminal posts for extra support. 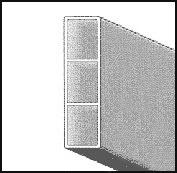 Pay Attention to Interior Reinforcement and Fence Section Widths – Check pickets, rails, and posts for manufacturer's recommendations on interior reinforcement. A quality fence will often have interior 'ribbing' on pickets, or other forms of reinforcement vs. a hollow rail. Quality taller vinyl fences and privacy fences will also have either a galvanized steel reinforcement channel in the bottom rail to help prevent sag; these rails are a full 8 feet in length! Lesser fences will come in 6' sections without steel reinforcement channels. Shorter fence sections mean more posts to purchase, more holes to dig, and more cement to mix! 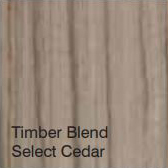 Be careful comparing material costs and installation time with these comparisons. A cheaper vinyl fence product may not be that much cheaper in the end. 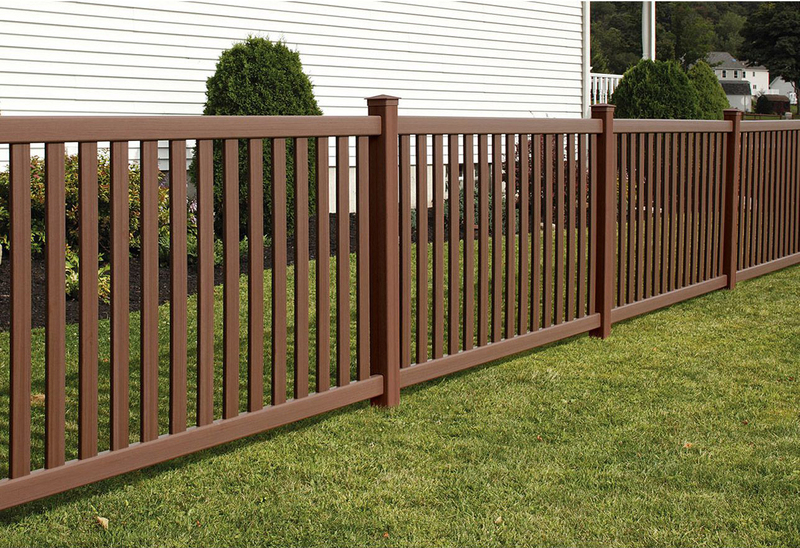 Pay Attention to Fence Design – In order to make a vinyl fence less expensive and easier to inventory, it is common for consumer brands to offer one single 'blank' (no holes) post and use a bracket of some sort to attach all horizontal rails to fence posts. Often these rail brackets are even a painted steel which will rust on a white vinyl fence. 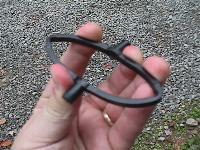 These brackets can be brittle and usually don't have much to attach to seeing how it's a vinyl fence. Having simply one post, is much easier to inventory though. In general, better fences will have posts routed to accept the horizontal rails. Vinyl fence end posts will have holes routed on one side only to accept fence horizontal rails and terminate a fence line. Corner posts will have routed holes on adjacent sides to create a 90 degree or there about turn. And line posts will have holes on opposite sides to be used as an intermediate post. There are various ways in which fence manufacturers have found to 'lock' the rails inside the posts. Point is, the section is not going to come off the posts without practically tearing down the post too. Further, a fence system with routed posts is often more aesthetically pleasing when compared with a fence with brackets. In general, a routed post system will surpass a bracketed system in strength, appearance, and ease of installation. This is a generality, and there are some types of railing and fence sections with brackets which are designed well. Also, don't forget to add up the costs of these fence brackets in estimating and comparing brands. The same principle will apply to how vinyl fence manufacturers design pickets to attach to rails. Inferior brands will simply glue, or screw pickets to the face of horizontal fence rails; these will not last. 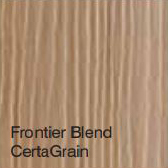 Better brands will often have routed rails which accept pickets through the center of them, or into extruded grooves. One better way of attaching pickets to the face of a horizontal rails is from the backside with larger lag screws and caps which hide the fasteners from the weather and your sight. Keep in mind, a fence is only as weak as its weakest point. Privacy fences should have tongue and groove pickets so that the fence remains private when, not if the ground shifts. Pay Attention to Gates – Inexpensive vinyl fence systems will often cut a panel down in width, screw on a diagonal vinyl piece of some sort and call it a 'gate'. Gate hinges are inferior to others as they only 'face-mount' to the post and gate. Better systems will have a 'true' gate with better design to help prevent gate sag. Gates constitute the largest quantity of call backs to installers as they can be tricky, are usually the only part of the fence designed to move, and are often underestimated when designed and installed. A gate is a bad place to 'skimp' on your fence project as it could cause hours to years of aggravating maintenance when adjusting, realigning, and replacing parts and hardware. A better quality gate should have gate uprights fastened to horizontal rails in a secure fashion. Better brands may have 'gate sockets' glued and riveted into uprights to accept horizontal fence rails. Steel, or aluminum frame are often used to help prevent sag on better quality vinyl fences. You will also find a variety of quality gate hardware sets available to compliment vinyl gates. Better hardware will be designed to mount to two sides of the gate hinge post and often the gate upright itself which allows for multiple points to install screws or 'thru-bolts'. Avoid hinges which are single dimensional and will only allow you to drive screws into the face of the gate and gate post, these easily 'pull' from both during wind. The same principle will apply to latches and having attachment point on both sides of a gate post and gate upright. When choosing a low-to-no maintenance fence, use stainless steel hardware which has been powder coated, or a quality polymer piece of hardware. Installing regular painted steel hardware on a vinyl fence will cause rust stains to bleed down the face of your new fence in a few years; worse yet, you won't be able to replace it with better hardware without then seeing old holes in your fence and gate where the old cheap hardware used to be. Pay Attention to Your Dealer and Fence Manufacturers' Credentials – Buy from a well-established fence dealer and long-standing manufacturer and you will rarely err. Professional fence companies and manufacturer's will service your needs. This isn't to say they also won't make mistakes, but they will work feverishly to fix them! 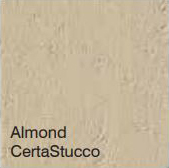 Bufftech - Most fence styles are available in White, Clay, and Almond. All styles are available in white. Not all styles available in all colors. 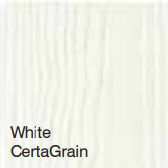 The white is bright white. 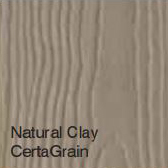 The almond and clay are very light shades. 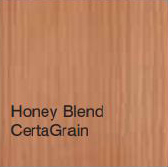 New colors have recently been added due to advances in vinyl technology. 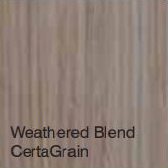 CertaGrain and Select Cedar wood patterns are also recent additions. 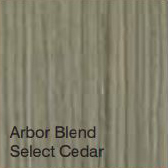 These fence styles are available in Colonial White, Natural Clay, Sierra Blend, Arbor Blend, Arctic Blend, Brazilian Blend, Honey Blend, and Weathered Blend. 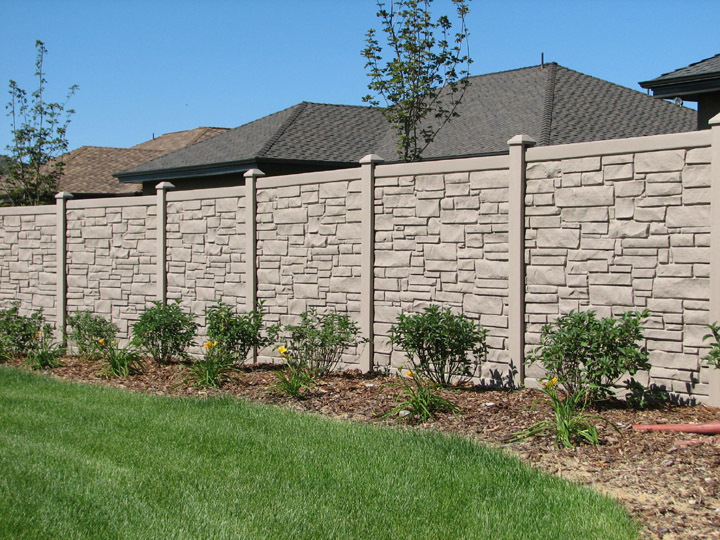 SimTek Stone Fence - available in granite colors black, desert, brown, gray, and beige. 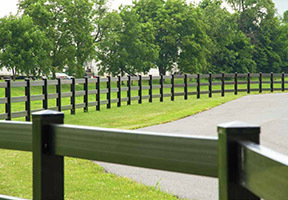 Superior Plastics - This vinyl post and rail fence is unique because it is black in color, which is a classy departure from the standard white and almond. With over 50 styles to choose from in vinyl fence alone, Hoover Fence Company offers one of the largest selections of vinyl fence available anywhere! Our offerings include Vinyl Picket Fence, Vinyl Semi-Private Fence, Vinyl Privacy Fence, Vinyl Post and Rail, and Stone Look Vinyl Fencing. Products from the best manufactueres, including Bufftech by Certainteed, Superior Plastics, and EcoStone/EcoStone Plus from SimTek. We carry vinyl gates to accompany all vinyl fence styles. Depending on the style you are interested in we carry pre-fabricated gates, gate kits, or both! The majority of vinyl gates are sold per gate leaf, so technically all of our gates are 'singles' but to make a double swing gate you just need to order two gate leafs or kits, the proper hardware, and a drop-rod or drop-pin to secure the gates in the middle. Vinyl Pre-Assembled Gates - Assembled with internal aluminum frame and simply need hung in place. Hardware kits sold separately with choice of vinyl or stainless steel. Hinges are self-closing and latch is self-latching. Vinyl latches are key lockable. Steel latches are lockable with a padlock. Vinyl Gate Kits - A gate kit includes 2 vinyl uprights with aluminum "U' channel inserts, aluminum channel rail inserts, upright caps, and hardware bag. You must order an extra section of fence (horizontal rails and vertical pickets) to build the gate with. Since this makes the cost higher than a preassembled gate, there is no advantage to doing this except sizing. If you must have a 3' wide gate due to layout limitations, this is the most cost-effective way of doing so. Vinyl gate kits are designed to be built up to 4' wide. If you need to make one larger, you will also need to order a gate extension kit which consists of two aluminum rail inserts to build gates up to 72" wide. The extension kit is only available for certain styles. One familiar with gate design and gate fabrication would have no problem with the project, instructions are included. We feature all our products online for your convenience complete with current pricing, specifications, and helpful how-to information. An easy way to estimate pricing for a project is to figure the cost per foot, which typically doesn't include any gates. (1) - Routed Vinyl Fence Post. (1) - Vinyl Fence Section. 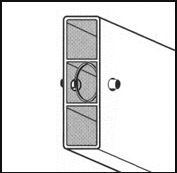 (1) - Post Cap of Your Choice. Second - The total cost is then divided by 8 for 8' sections or divided by 6 for 6' sections. (2) - Lock Rings Per Rail. Second - The total cost is then divided by 8 for 8' wide sections or by 16 for 16' wide sections. You may notice that vinyl fence pricing is generally are higher than wood fences, however, the fact that it does not need stained, painted or treated in any way will reduce the maintenance and replacement costs over the long term. You can order an entire fence or just parts you need on our secure server or you can order by calling our toll-free number at 1-800-355-2335. Simply choose a style, color and height for your fence and make a rough drawing showing the dimensions and gates required for your project. Phone, fax, email, or mail it in and we will be more than happy to give you a quote showing all the parts and prices to complete your fencing project. Try our fence section calculator to figure the components you'll need and check the prices online under the style you like. It's as easy as that. We provide installation instructions with each order. A lot of assembly information is available here so you can get a sneak preview of the work involved. The hardest part to install vinyl fences is digging in mother earth and mixing the concrete. 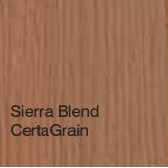 The vinyl components are light-weight and easy to handle. You could save thousands of dollars installing your own vinyl fence. The skill level required would be comparable to installing a wood fence. If you can use a level and string and have some sense of what looks good, you can install a vinyl fence. Generally, you can dig a hole, assemble a section at a time, and continue to the end of a line. When you have it looking the way you like it, concrete the posts last. This allows you the freedom to raise and lower sections and level posts as you go minimizing the possibility of error. Don't concrete posts until you like what you see. 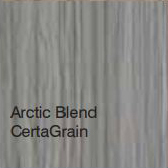 The manufacturer's provide a Lifetime Non-Prorated Limited Warranty that warrants their vinyl fence to be free from manufacturing defects - including peeling, flaking, blistering and corroding - when subject to normal and proper use (Bufftech products only, other manufacturer's warranty may differ). 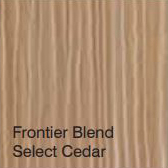 We are proud to offer over 20 styles of vinyl picket fencing. Available products range from typical picket fences, to picket fencing with more narrow spacing that is sometimes referred to 'semi-private' or 'ornamental' styles. 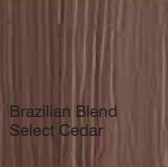 Available finishes include Smooth and Select Cedar, in a variety of colors to match any color scheme. We carry styles with Traditional Picket Constructions, Flush Tops, Doggie Pickets, and Concave Tops. Projects can consist entirely of picket fencing, but this also pairs perfectly with privacy fencing so that customers often install the picket in the front yard, and privacy in the backyard. 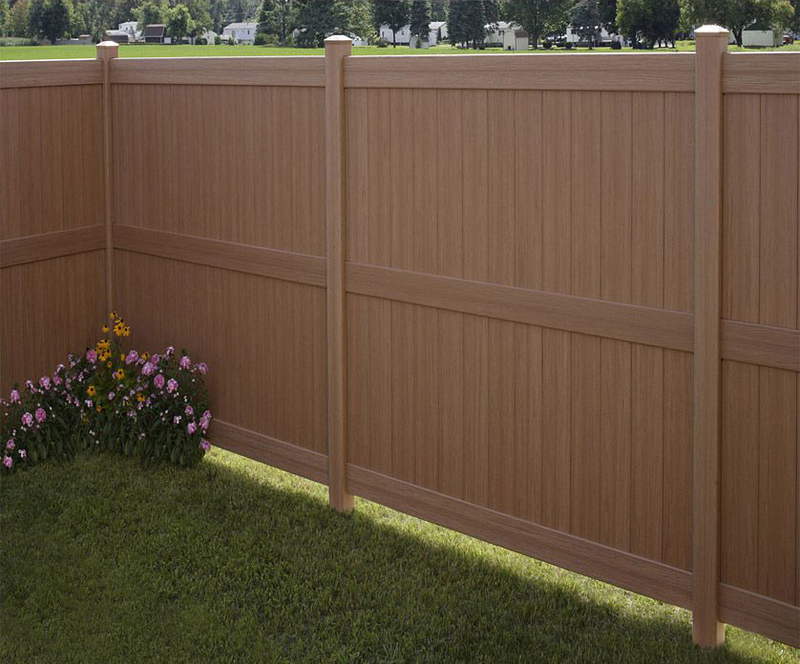 Privacy Style Vinyl Fence provides security, privacy, and piece of mind for your backyard. 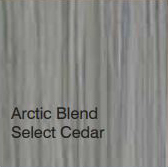 We carry over 20 styles of Bufftech Vinyl Privacy fence, along wiht the EcoStone and EcoStone Plus Stone look fencing. 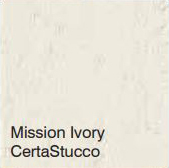 We carry options in Smooth, CertaGrain, and CertaStucco finishes, in a variety of colors to match any color scheme. 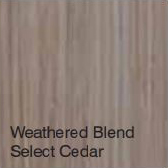 Some styles feature special features such as Concave Tops, Convex Tops, Lattice Accents, Huntington Accent, Westminster Accent, Victorian Accent, and Swoop or S-Curve Transition panels. Projects can consist of privacy fence entirely or this can be paired up with a picket style for the front yard and privacy in the backyard. 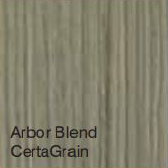 The Post & Rail style fence is available in two types of surface finishes, smooth and wood texture (CertaGrain). 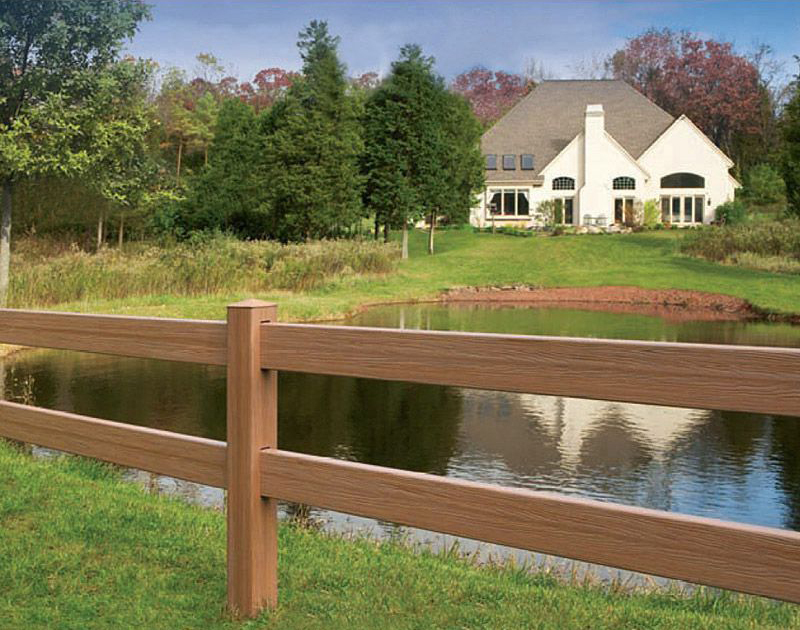 All styles of smooth post & rail fence are available in white and almond; the 2, 3, and 4 rail styles are available in white, almond is available for the ribbed version rails only. 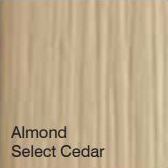 Almond costs 10% more than white. Black color is available in 3 and 4 rail styles with ribbed rails. 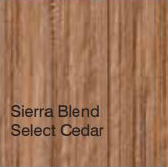 The wood texture styles are available in white and sierra blend. 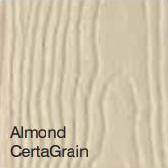 CertaGrain styles are priced separately from the smooth surface styles. 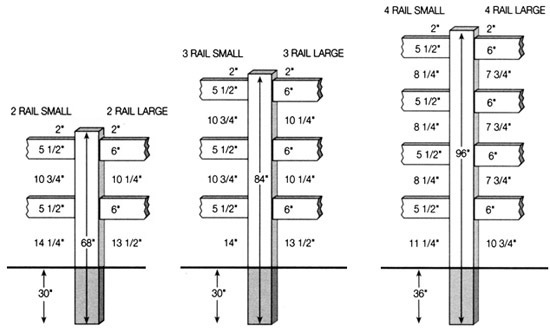 The choices of rail sizes are illustrated here with dimensions. The depth of the posts are shown, however, the actual depth of the concreted hole should exceed the depth of the post so concrete is under the post also. A depth of 36-42" is recommended depending on frost line depths in your area. All posts need to be set in concrete to validate the warranty. Installation must be in accordance with manufacturer's installation instructions or the warranty may be void. We provide complete installation instructions with every purchase. Please ask for one, if you fail to receive it. Ribbed Rails - The 2-Rail, 3 and 4-Rail post and rail fence comes with 1-1/2" x 5-1/2" (small) or 2 x 6 (large) ribbed rails. The ribbed rail provides additional stiffness where increased rigidity is required. The Crossbuck style comes with 1-1/2" x 5-1/2" ribbed rails. Rails are available in 8' and 16' lengths (CertaGrain styles are also offered in 6' and 12' lengths for special applications). The strength of the fence is increased significantly by alternating rails so not all rails will end up with ends at the same post. Of course end, corner and gate posts are an exception. Order 8' rails for starting out at ends and gates, or order 16' rails with the intention of cutting them in half as needed. The material cuts easily with a hacksaw. If you do cut rails, holes will have to be drilled for the lock rings. 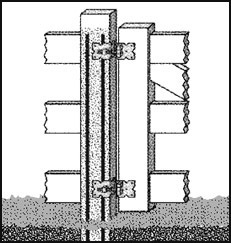 The intermediate posts (line posts) do not need to be filled with rebar and concrete. Installation instructions must be followed carefully to assure a lasting product. The rails are held securely in the post with plastic lock rings that do not fail as easily as the 'punched tab' type of connections. The punched tabs usually break quite easily with any pressure. Squeeze the lock ring to install it into the predrilled holes and it will 'bounce' out into the holes. Then by inserting it into the prerouted holes on the posts, the ring will 'pop' out to prevent removal of the rail, holding it firmly in the post. The SimTek EcoStone and EcoStone Plus simulated stone fence has one full length panel with steel reinforced rails built into the panel. This style provides total privacy. Available in 3', 4', 6', and 8' heights. The 8' height features two stacked 4' panels. Gates are not available for the 3' height fence. Authentic looking stone or rock surface adds to the attractive appearance. Sections can not be raked, stepping is the technique used to follow grades. Matching posts and post caps sold separately. 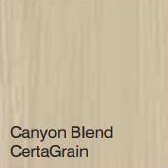 Colors have a granite textured finish. Gates have an galvanized steel frame to prevent sagging. Preassembled gates are available in 36", 48", 60", and 72" widths in the 6' height. 4' and 8' heights have gates available in 48" widths only. Two gates can be used to provide twice the opening. Gates include hinges, latches, and a striker bar. Drop rods can be ordered for double gates.